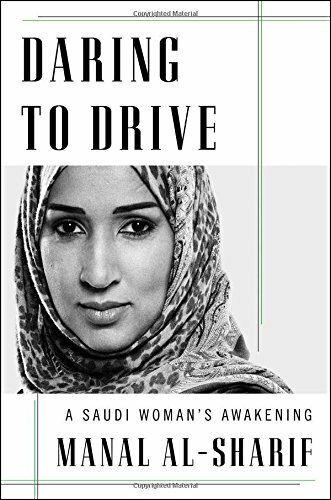 Manal al-Sharif made headlines in 2011 when she drove a car in Saudi Arabia in defiance of local regulations and was jailed for the crime of “driving while female.” Daring to Drive is her memoir, which takes readers in to a fascinating world usually closed to western audiences. Many readers are aware that Saudi Arabia oppresses women through rules such as male guardianship, refusal to allow them to drive, and otherwise restricting their freedom of movement. Al-Sharif breaks down this atmosphere into two very important aspects: She explains the repercussions of these rules in a practical manner in terms of how they affect the daily lives of Saudi women, while also providing a religious backdrop of how a strict interpretation of Islam affects legal institutions including transportation, education, employment, and much more. Readers who think Saudi Arabia is the embodiment or Islamic values or that the Saudis are representative of the entire Muslim world are in for a rude awakening when they read Daring to Drive. Al-Sharif goes into painstaking details of all the ways harsh Salafi ideology harms the citizens of Saudi Arabia, especially those from poorer sections of society. Manal al-Sharif grew up poor in a struggling section of Mecca. Her parents were harsh with her, even brutal at times, and they lived without some of the most basic of everyday requirements such as running water. In an already hostile environment she and her family had to deal with the laws of her country, which forbid women from leaving the house without a close male relative, refuse to give identity cards to women, and practice female genital mutilation as a norm. She paints a horrific picture of her home and school life, suffering repression and suppression of all sorts. Still, there are vignettes of laughter and love in a complex family system that allows for both positive and negative experiences in equal measure. There are glimpses of rich, vibrant Arab life in the markets, the Grand Mosque, and in homes. Especially intriguing are al-Sharif’s years where she is indoctrinated into the extremist Salafi ideology and begins to live a stricter life. She goes into detail of how the extremist version of Islam permeated each and every aspect of public life, from pledges of loyalty in schools that taught them to hate anyone who didn’t follow their brand of Islam, to preachers spewing fearful warnings of hellfire. She explains an incident when she heard a tape recording of a religious sermon that detailed the torture of hell. Her fundamentalist views were unsustainable, and slowly she recovered. Her high grades in college lead her to a job in cyber security with Aramco, in a corporate compound where women were not ruled by the same laws that plague the rest of Saudi society. This experience is enlightening because she can now see the difference in the way women live inside and outside the compound. She spends many pages describing how inconvenient and often dangerous it is for women not to be able to drive in the streets of her country outside the compound: One woman she knows watched her father die at home because she couldn’t drive him to the hospital. She protests loudly about this problem, attracting the ire of her male colleagues, but her research shows that there is no actual law against women driving. This is the start of her activism, and she vows to drive a car outside the compound. Other women join her in a movement they name Women2Drive, which quickly becomes popular on social media. She makes history, but the reaction of the government is swift and harsh, ending with her in jail. Manal al-Sharif is a woman of extraordinary courage shaped by the restrictions placed on her by society. Daring to Drive is a testament to how women in Muslim countries are helping change their culture, one step at a time.